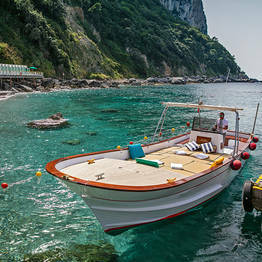 Bagni Tiberio Boats on Capri. 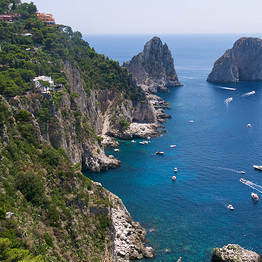 The pristine coastline of Capri, exactly as it was during the Roman Empire. 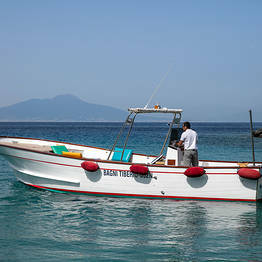 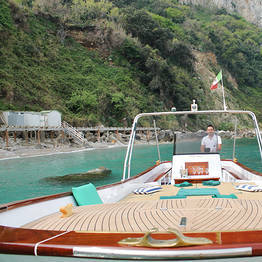 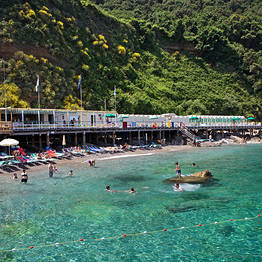 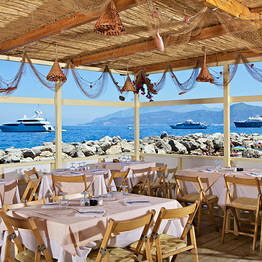 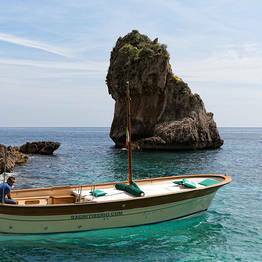 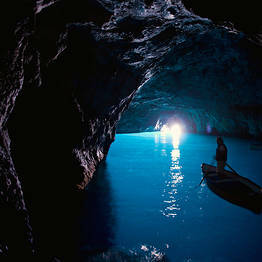 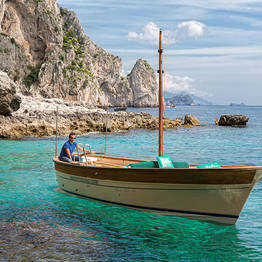 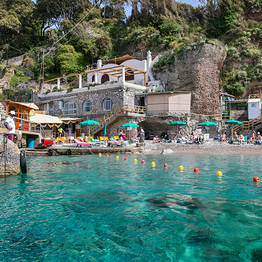 Bagni Tiberio Boats - The pristine coastline of Capri, exactly as it was during the Roman Empire. 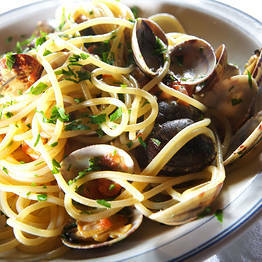 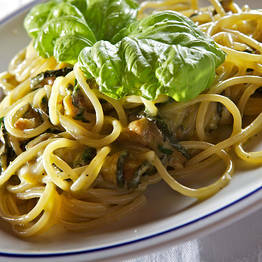 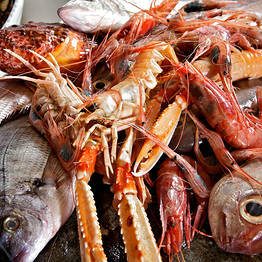 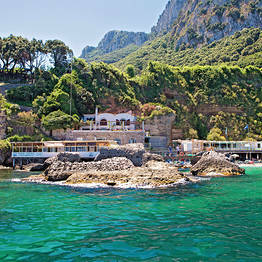 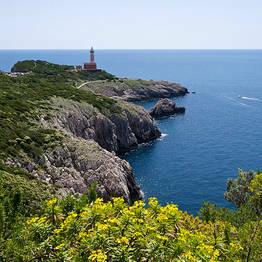 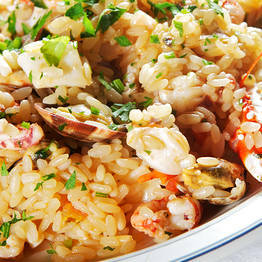 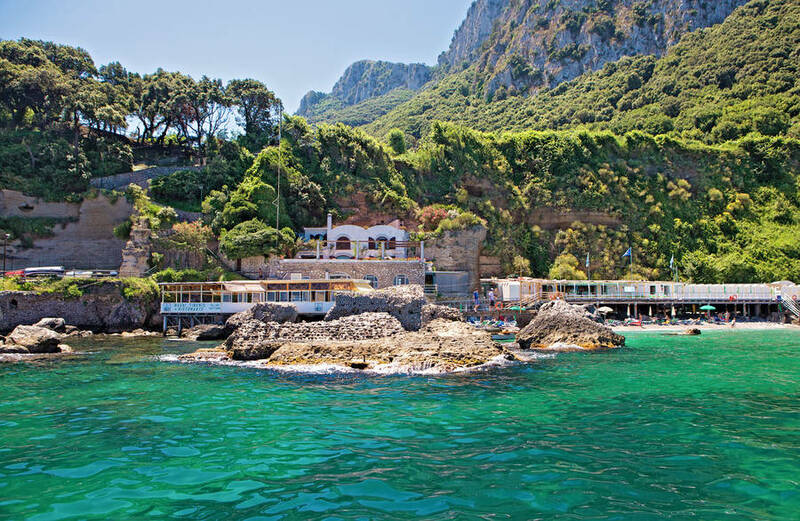 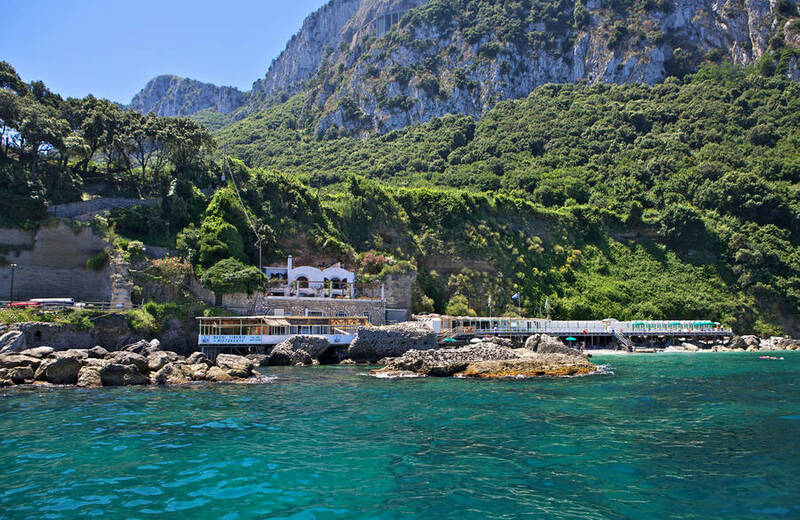 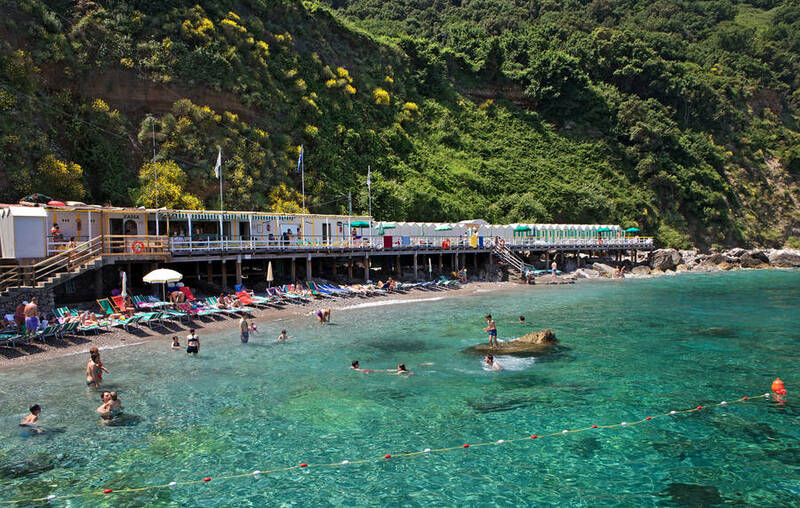 In 2003, the De Martino family,, which has been welcoming guests to their Bagni Tiberio beach for generations, decided to offer a new service to their clients: not only could they swim among the Roman ruins and dine at the beach's restaurant serving traditional dishes from Capri, but now they could also discover the gorgeous untouched coastline of the "Azure Island" by sea: thus Bagni Tiberio Boats was born, a small, locally-owned charter company for boat rentals and tours of the Island of Capri. 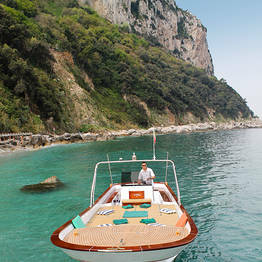 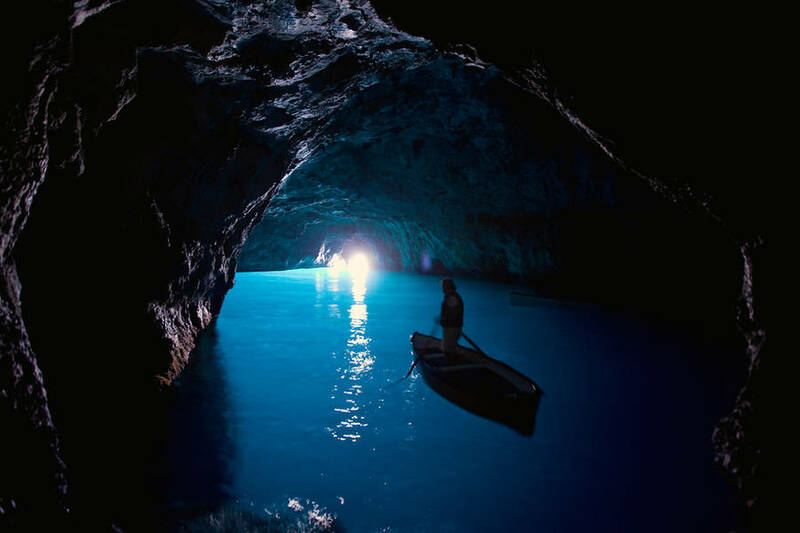 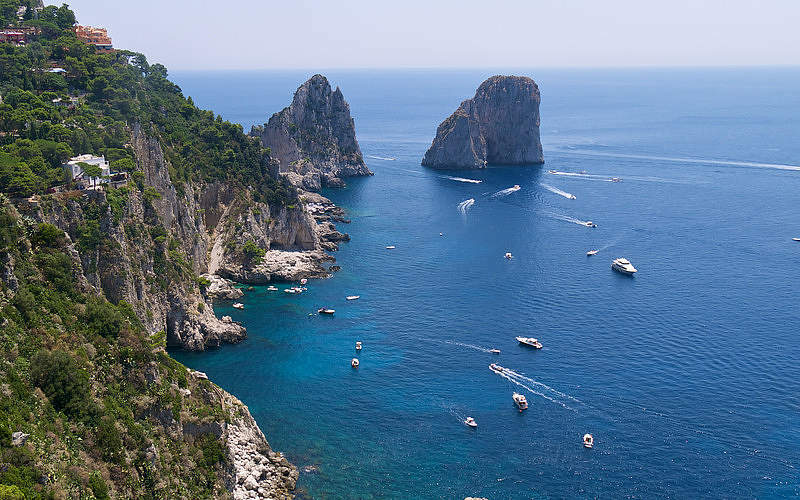 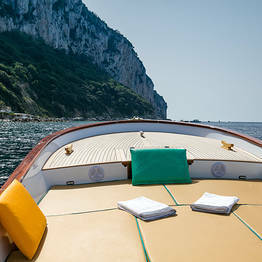 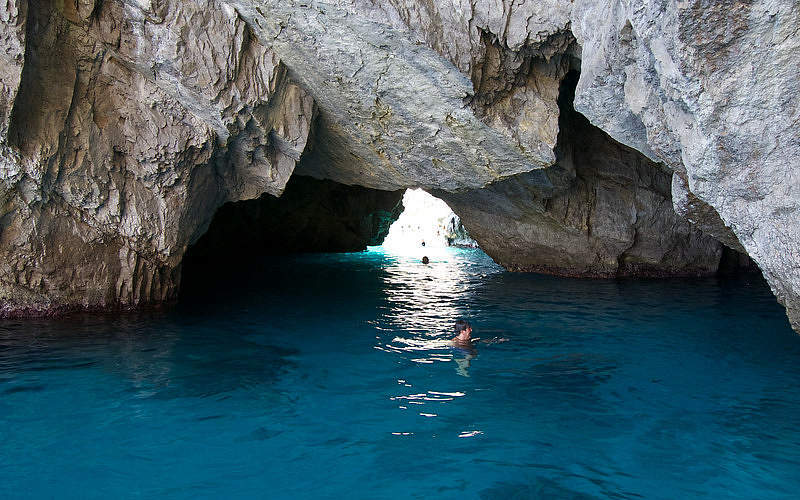 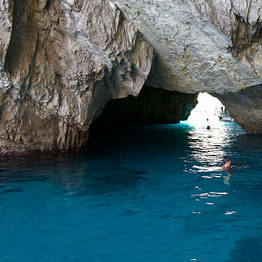 Without a doubt, the most captivating way to see Capri is by sea. 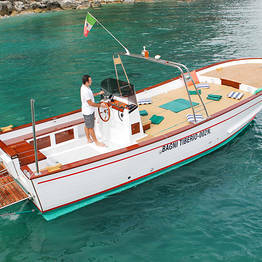 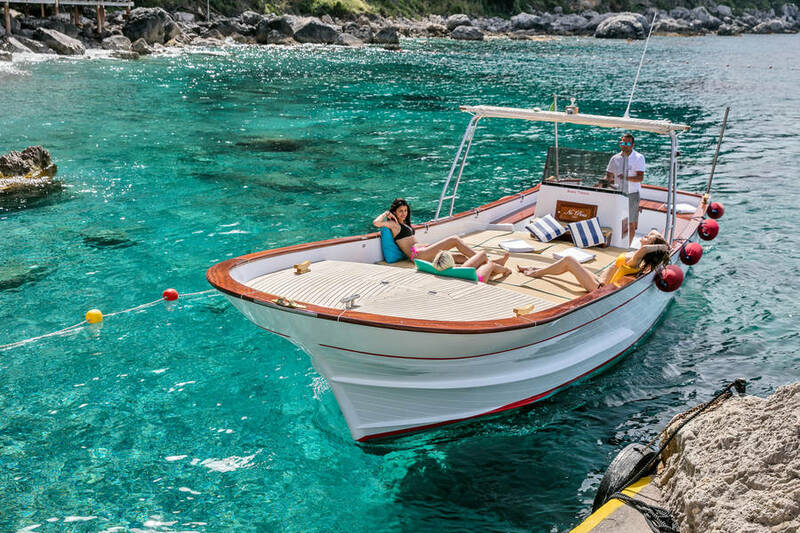 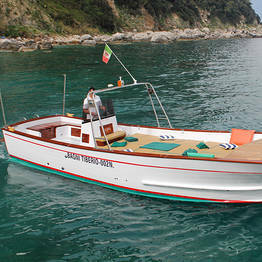 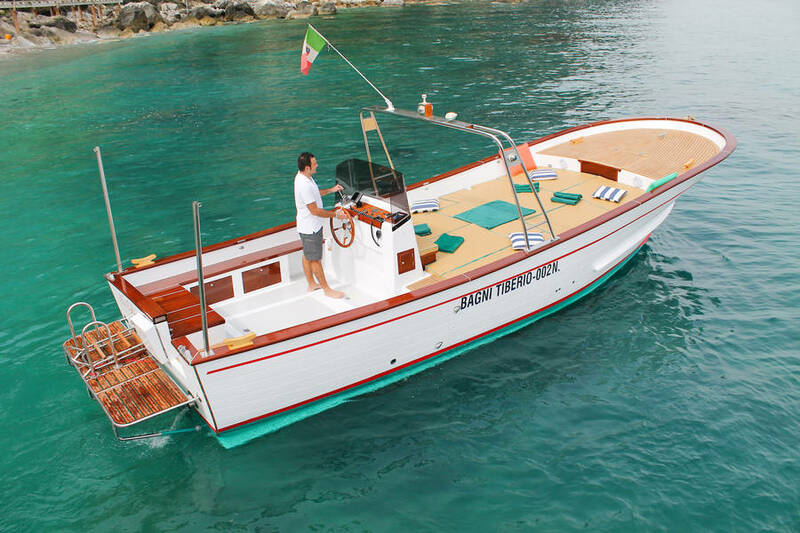 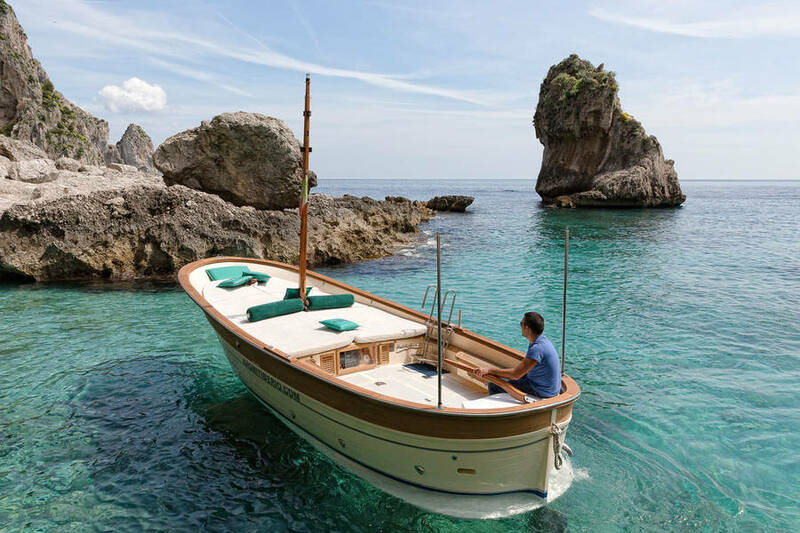 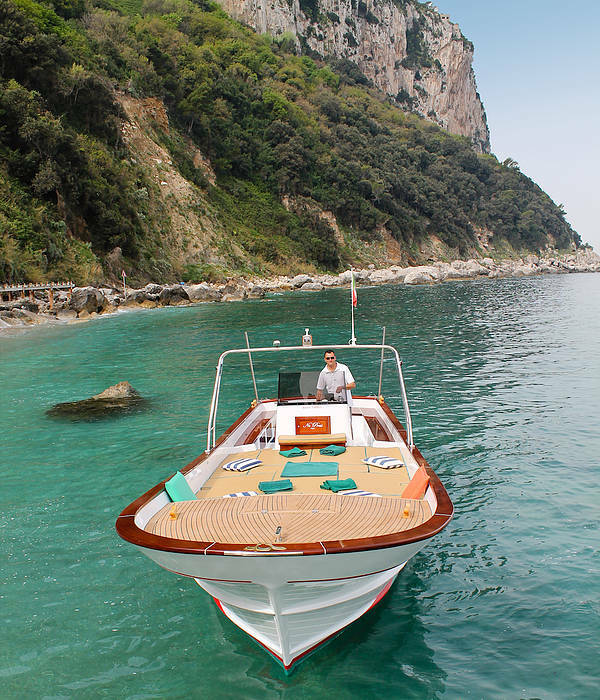 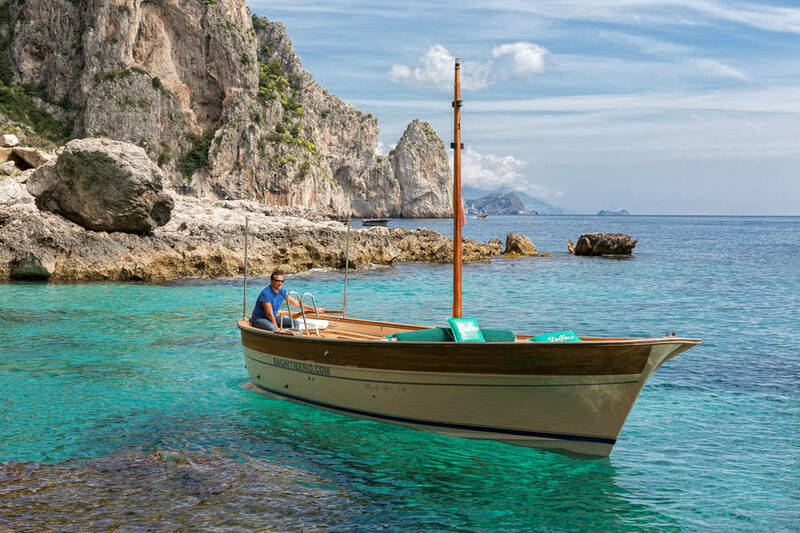 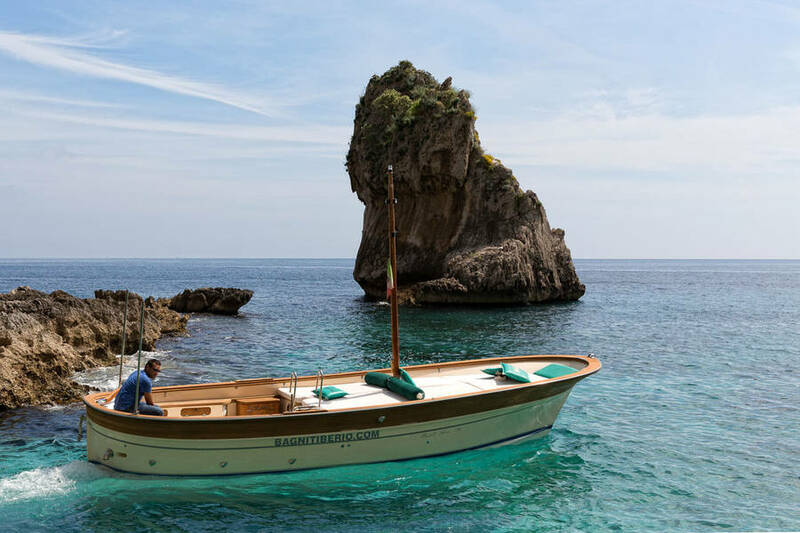 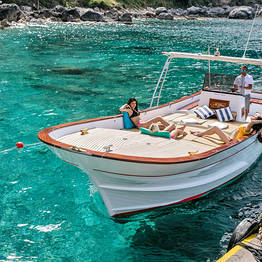 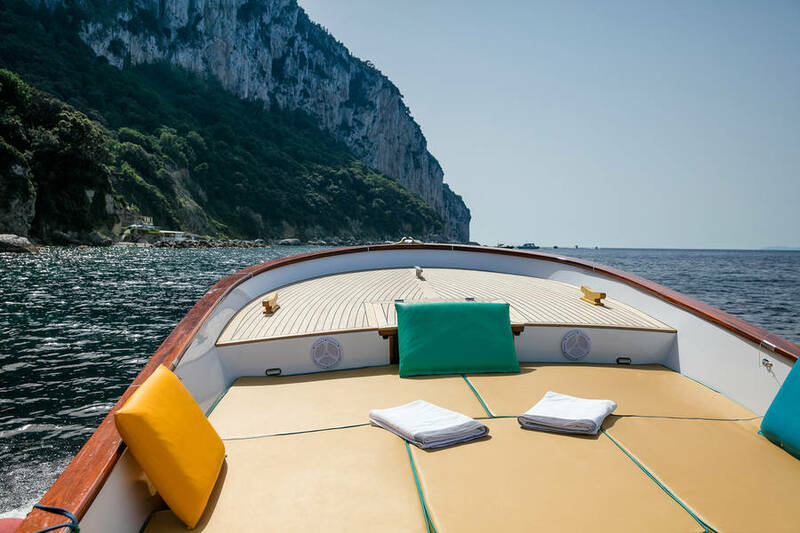 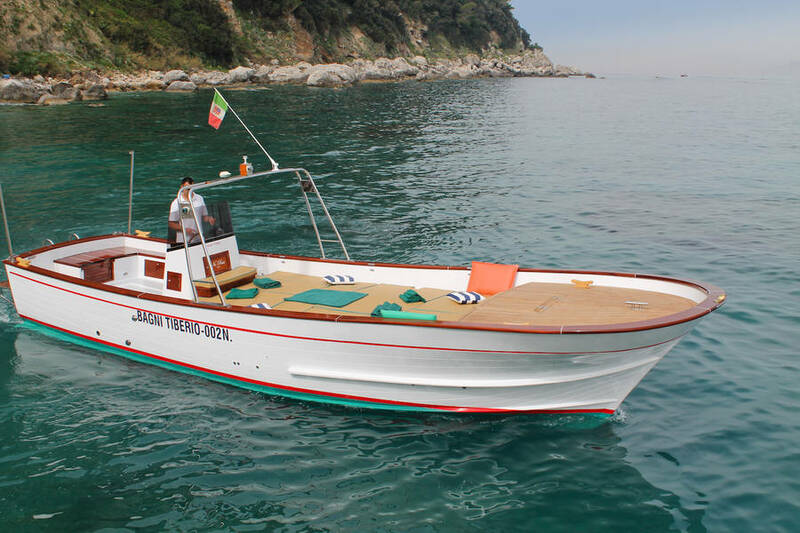 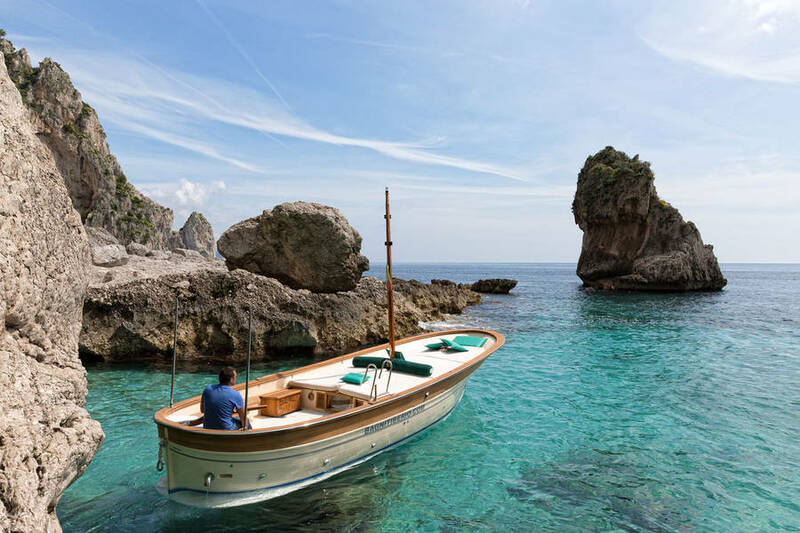 With Tiberio Capri Boats, you can admire the unspoilt coastline, the sea grottoes, and the hidden coves on board a traditional 8 meter gozzo boat ora 10 meter boat that can sail up to ten friends or family members. 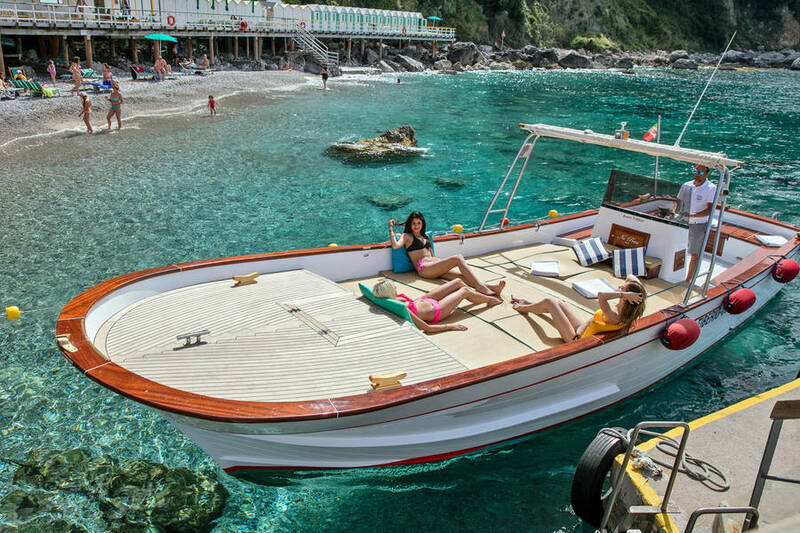 Both boats are for max 6 people. 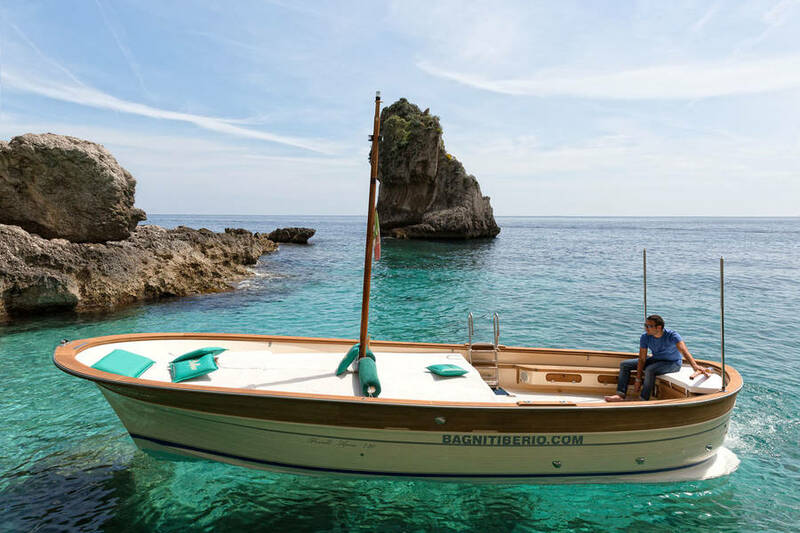 A minibar stocked with soft drinks and water, a shower, beach towels, a sun shade, and snorkling gear to explore the sea floor and craggy coast: you'll find everything you need on board Bagni Tiberio Boats! 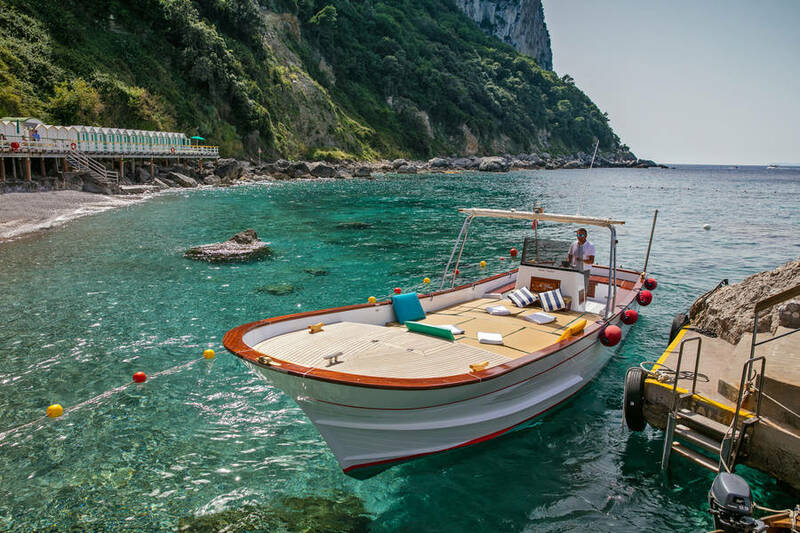 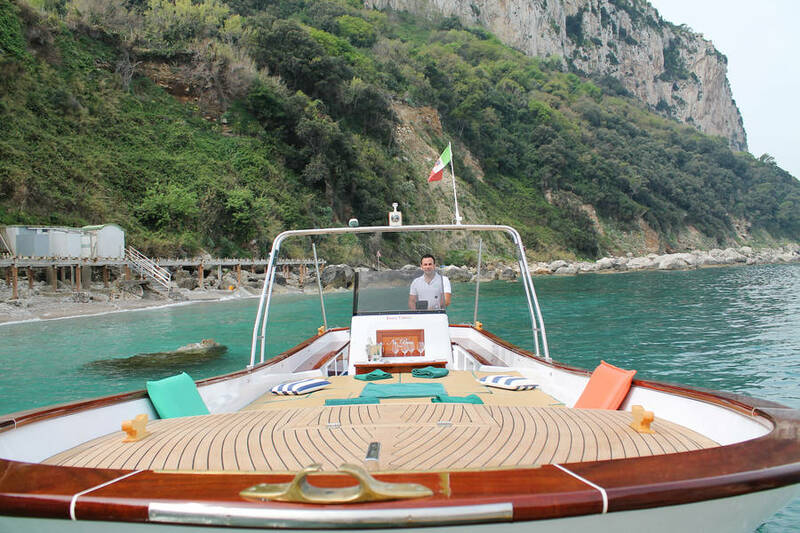 Bagni Tiberio Boats can offer itineraries including all the most beautiful spots in the Gulf of Naples, including custom tours of Ischia, Sorrento, the Amalfi Coast, and Naples. 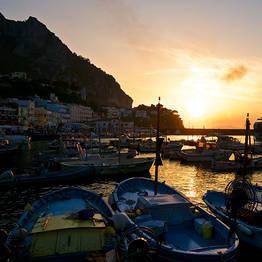 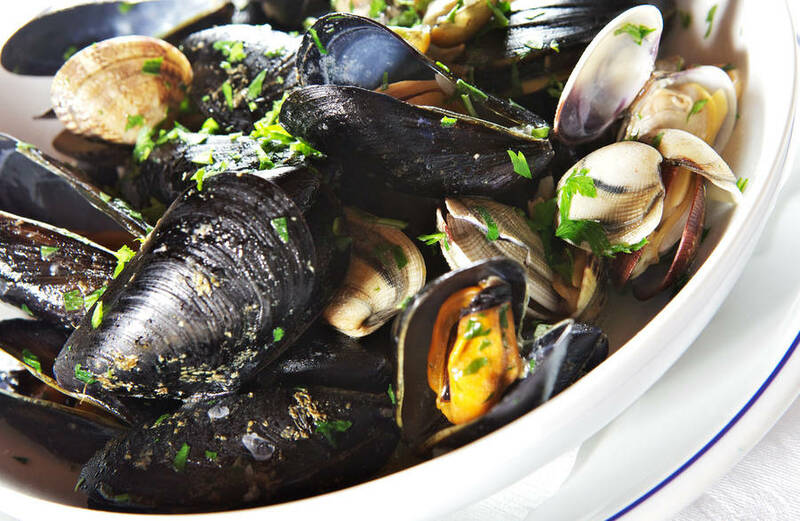 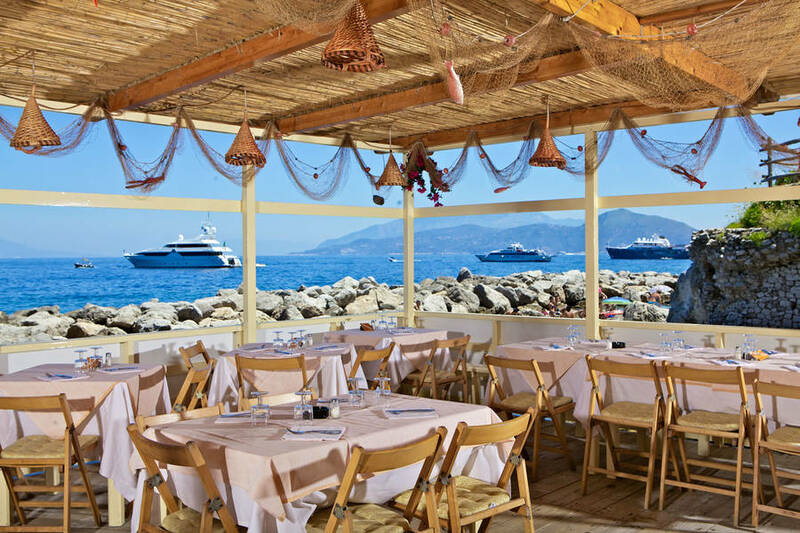 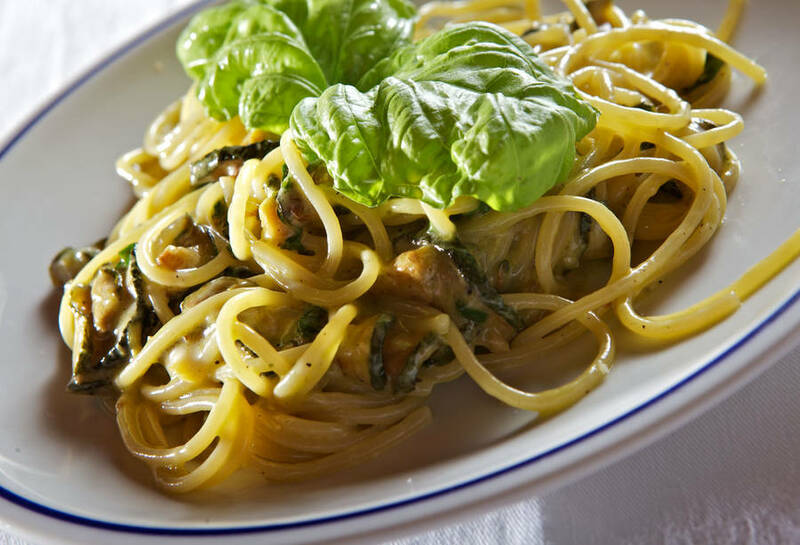 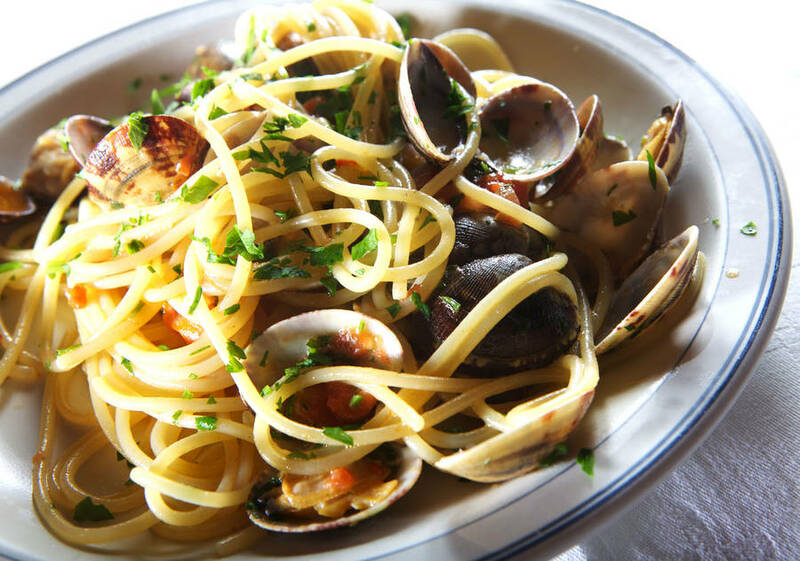 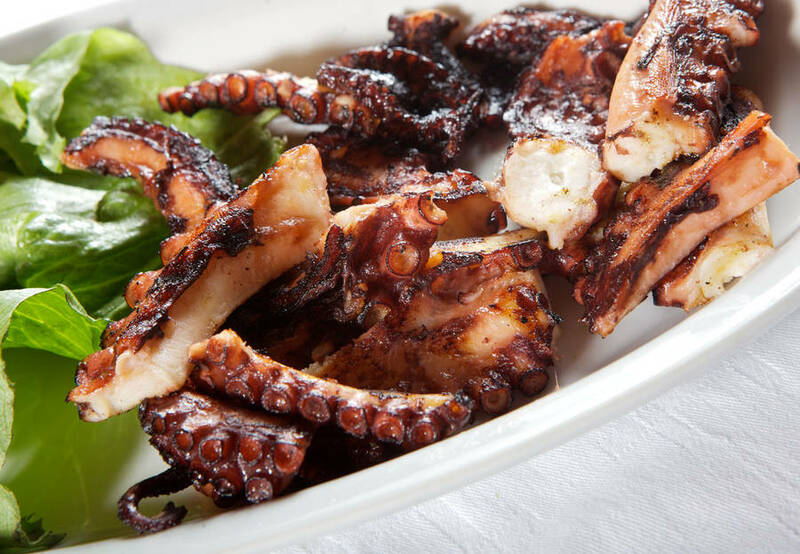 Don't miss a sunset sail or a night sail to the charming fishing village of Nerano, where you can have a romantic dinner for two on the water's edge. 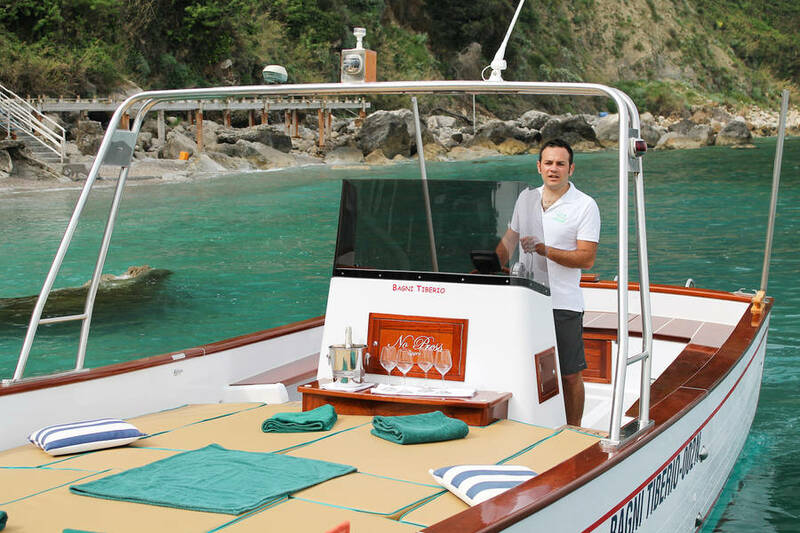 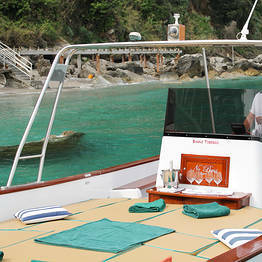 Book the boat tour of your dreams in Marina Grande, either at the Bagni Tiberio Boats' dock behind the high speed ferry ticket office or at the Bagni Tiberio beach, directly at the beach kiosk. 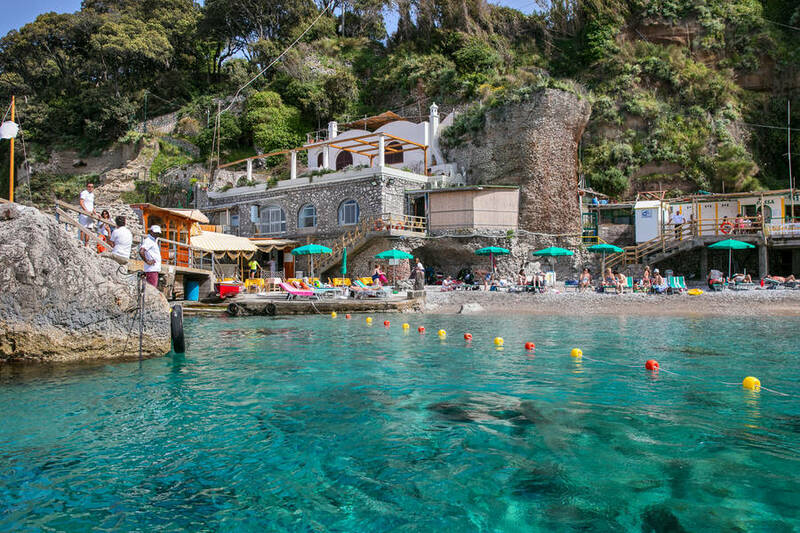 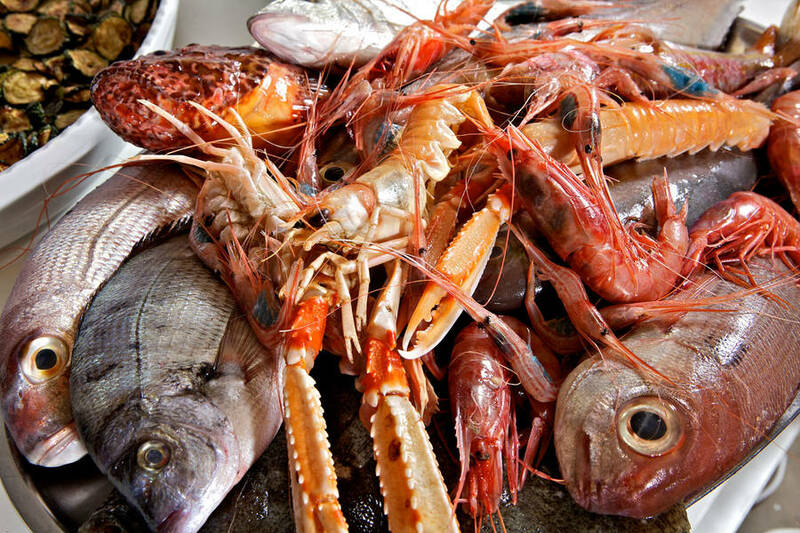 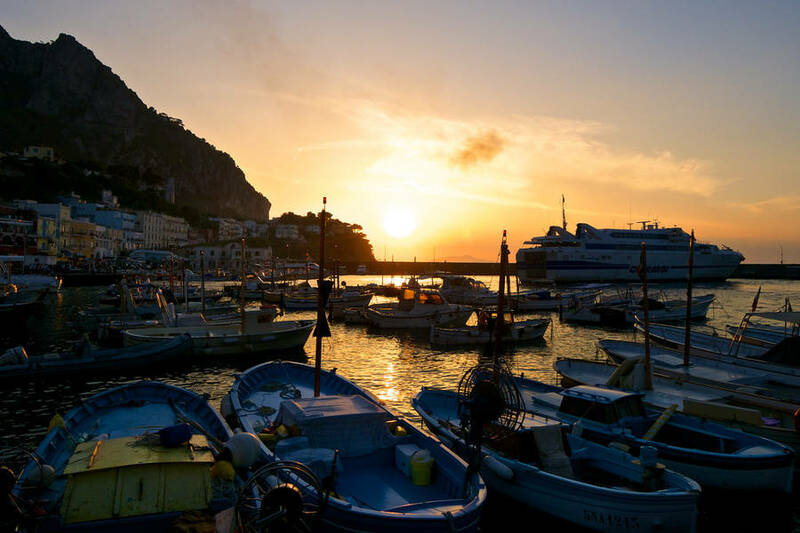 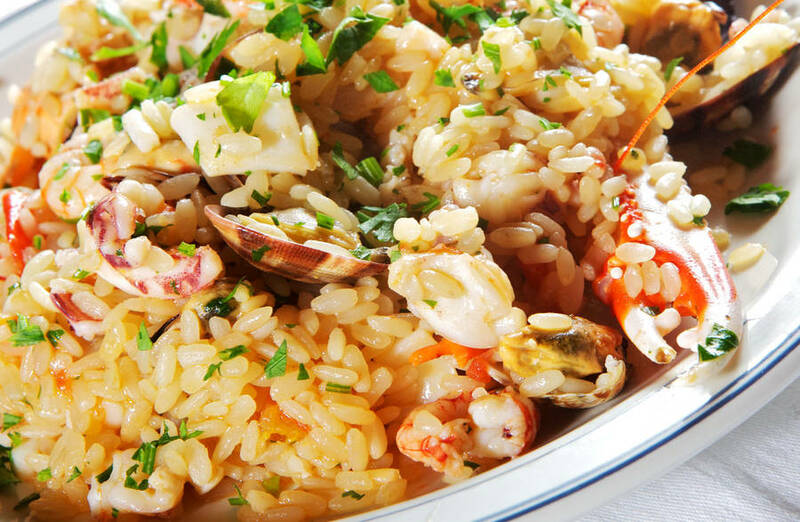 For an easy and convenient transfer by sea, Bagni Tiberio Boats offers transfer services to and from Sorrento, Naples, Positano, Amalfi, or Ischia. 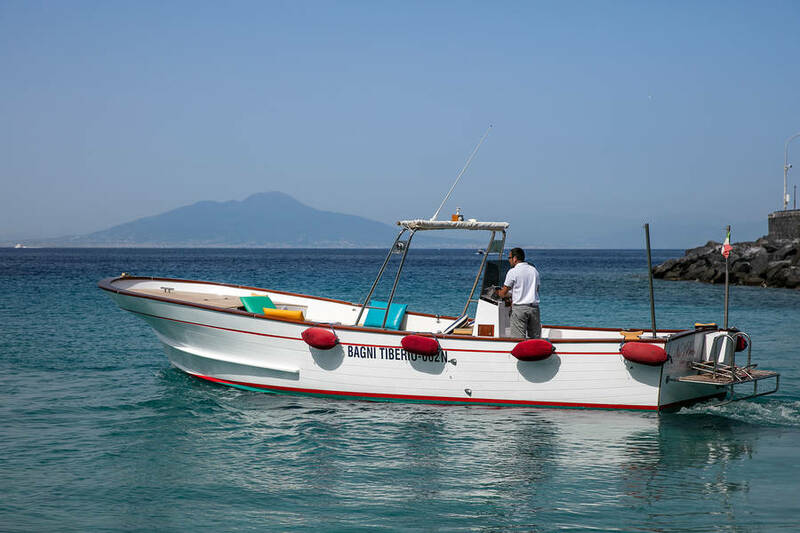 To book a tour or transfer with Bagni Tiberio Boats, you can go to the Bagni Tiberio dock in Marina Grande behind the high speed ferry ticket office or the Bagni Tiberio beach kiosk.